Read more about your community space, community posts and announcements here. 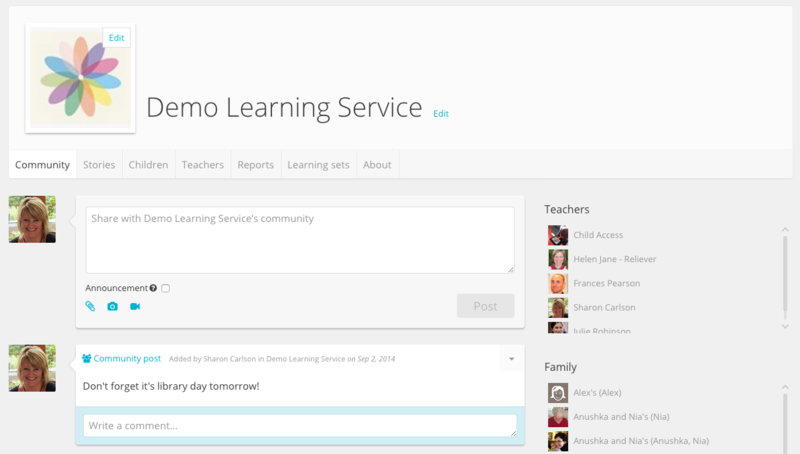 To find your community space, click on your early learning service's 'Community' tab. 1. In the text field, type your message. 2. If you wish, you can add an image or other type of file. Read ‘Add files to a community post or announcement’ to learn how. 3. Teachers who are Admins can also create 'Announcements' which override a parent's notification settings. Sending a community post with the Announcement checkbox ticked will send an email to each person in the community in addition to the notification they receive within Storypark, even if they have community posts turned off in their notification settings. 4. When you’ve finished, click 'Post'.